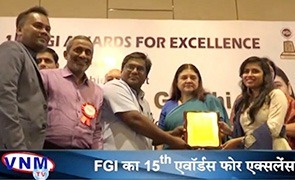 Deepak Foundation was conferred with FGI award at 15th Federation of Gujarat Industries (FGI) awards for energetically engaging in the Corporate Social Responsibility activities of Deepak Nitrite Ltd. 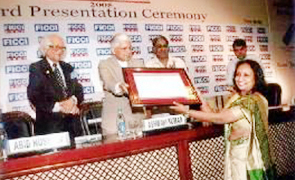 The award was presented by Mrs. Maneka Gandhi, Minister of woman and child development, Govt. 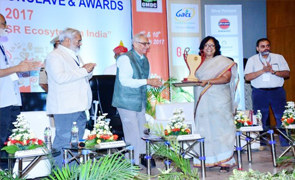 of India at a function held on April 14, 2018 at Surya Palace, Vadodara. 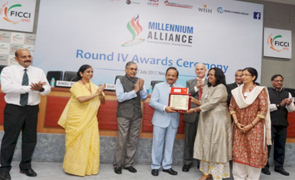 Received the Millennium Alliance Round-4 Innovations Award 2016-17 for community-owned initiatives for securing food security in tribal areas. 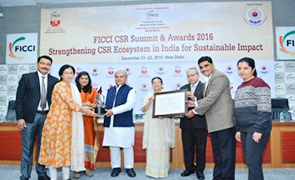 Deepak Nitrite Limited, as the parent company of Deepak Foundation received the FICCI CSR Awards 2015-16 under Category 1, on December 21, 2016 at FICCI, New Delhi, for its immense contribution towards women empowerment. 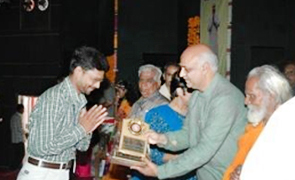 On the occasion of Gujarat Gaurav Din, Deepak Foundation was felicitated for the social development activities undertaken at Chhota Udepur on May 1, 2016. 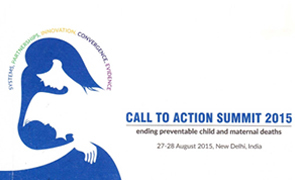 Deepak Foundation recognized in the Call to Action Summit 2015, for implementing Public Private Partnership project for reducing Maternal and Infant Mortality in Vadodara District of Gujarat. 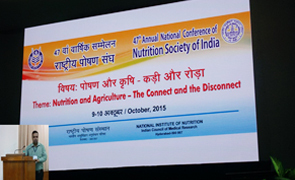 Deepak Foundation was awarded the NSI Prize for the best oral presentation of the paper titled Impact Evaluation of Doodh Sanjeevani Yojana The paper covered the nutritional status of school going children in selected tribal blocks of Gujarat and was presented by Dr. Akash Kumar Lal during 47th Annual National Conference of Nutrition Society of India held at the National Institute of Nutrition, Hyderabad. 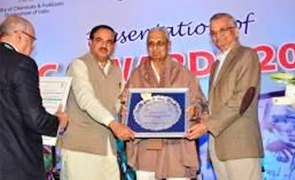 awant Livelihood Project (KALP) implemented in partnership with Tribal Development Department was selected as one of the best models under the Sustainable Development – Case Selection, Showcasing, Recognition and Replication (SD-CSSRR) Programme 2014-15 of the Indian Institute of Corporate Affairs. 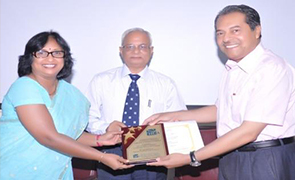 Recognition and Award were conferred on May 29, 2015. 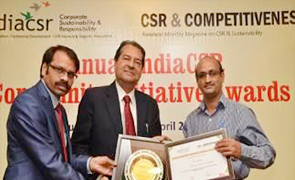 The Annual India CSR Community Initiative Awards, 2014 was conferred upon Deepak Foundation for the Best CSR Project in Health for Promoting Safe Motherhood (Maternal and Child Care) on April 6, 2015. 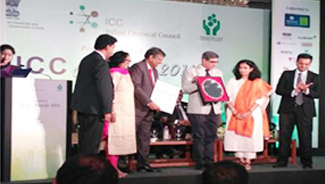 In recognition of his exceptional contributions towards industrial development and societal upliftment, the Indian Chemical Council (ICC) conferred the ICC lifetime achievement award for the year 2013 on Mr. C.K. 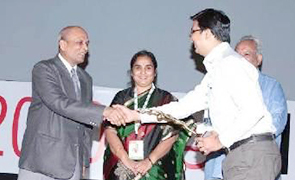 Mehta, Chairman, Deepak Group of Industries, at a function organized in Mumbai on 30th September, 2014. 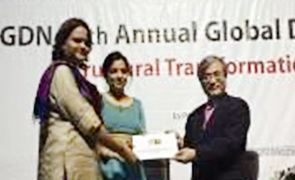 Deepak Foundation’s collaborative innovative project, Asha Kiran – A Decision Support System (DSS) for Improving Maternal Health and Health Literacy for Below Poverty Line Women, undertaken in collaboration with Technical University of Delft, The Netherlands, bagged the third prize in the Japanese Award for Most Innovative Development Project category institutionalized by Global Development Network, in a ceremony held in Accra, Ghana during 18-20 June, 2014. 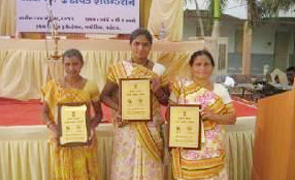 Three Anganwadi Workers of the Foundation bagged the best performance award by the Department of Woman and Child Development Department at Mahila Sammelan function organized by District Panchayat Vadodara (Taluka level) on March 31, 2012 at Kelanpur in Vadodara. 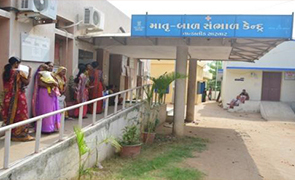 The Community	Health Centre, Jabugam (linked with Comprehensive Emergency Obstetric and Newborn Care (CEmONC) Unit run by the Foundation was for Excellent Performance to CHC-Jabugam-CEMONC-DF (ICTC), Vadodara. 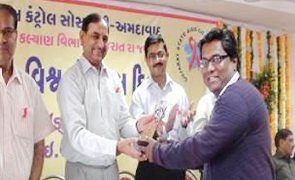 By the Gujarat State AIDS Control Society, Health & Family Welfare Dept. 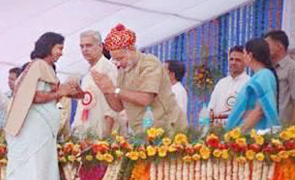 Government of Gujarat, awarded on 1st December 2011 – the World AIDS Day. 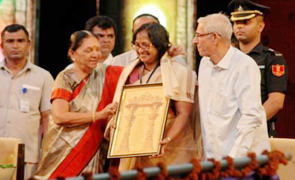 The web enabled Computerized Management Information System (CMIS) created to track individual pregnant women beneficiaries in the tribal and rural areas of the Vadodara district under the Safe Motherhood and Child Survival project received the Citizen’s Choice award for the Civil Society / Development Agency Initiative of the year at the E-India Awards 2010 from Department of Information Technology, Government of India in the year 2010. Deepak won the grant funded by South Asia Region Development Marketplace for ‘Family and Community Approaches to Improve Infant and Young Child Nutrition’. 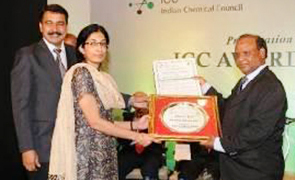 The grant was awarded in a two -day seminar held at Dhaka, Bangladesh on 5th and 6th August, 2009. 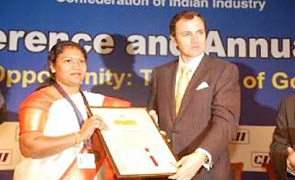 Ms. Manorama Jaiswal, Associate Project Coordinator of Deepak Foundation was felicitated by the Confederation of Indian Industry Women Exemplar Award 2009 under health category for her outstanding contribution towards community in tribal areas during CII’s National Conference and Annual General Meeting (AGM) on March 26, 2009. 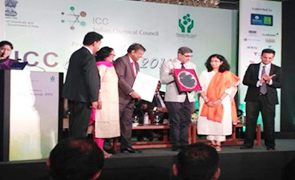 Deepak Fertilizers and Petrochemicals Corporation Limited were adjudged the second runners up of Corporate Social Responsibility Award instituted by Business World-FICCI-SEDF in 2005. 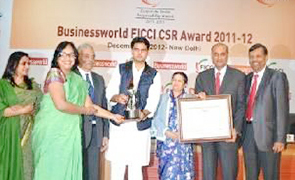 Deepak Foundation received the Indian Merchant’s Chamber Diamond Jubilee Endowment Trust award for the year 2001 for. 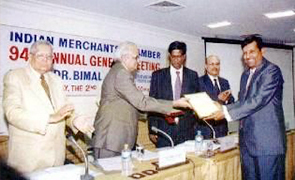 ‘Environment, Agriculture and Rural Development’ on May 2, 2002. 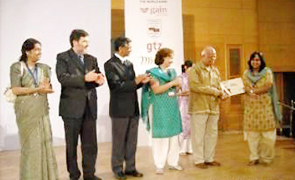 The prestigious award was presented to DF’s for its outstanding work towards women empowerment in rural areas. 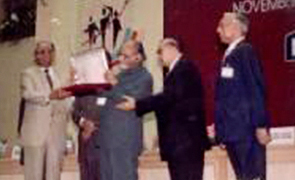 Deepak Foundation received the FICCI Award, from the hands of the Honorable Prime Minister, Shri I. K.Gujral at New Delhi for its efforts in the area of family welfare on 18th November 1997.